Carrying 'Norair' titles and logo, the prototype N-156F 59-4987 made the headlines when it achieved supersonic speed on its first flight. 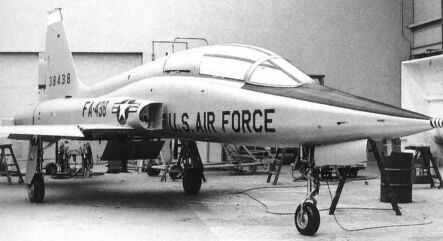 The first of three YF-5As, 59-4987 was rolled out at Hawthorne, California, on May 30, 1959. While it had a USAF serial it did not have 'Stars n Bars'. Первый N-156F вскоре после перевозки на авиабазу Эдвардс - самолет сфотографирован вместе с двумя первыми YT-38 Talon. Летчики-испытатели компании "Northrop" Дж. Д. Уэллс и Хэнк Чуто обмениваются впечатлениями с капитанами Свортом Нельсоном и Норвином Эвансом - летчиками ВВС США, летавшими на T-38 и N-156F. 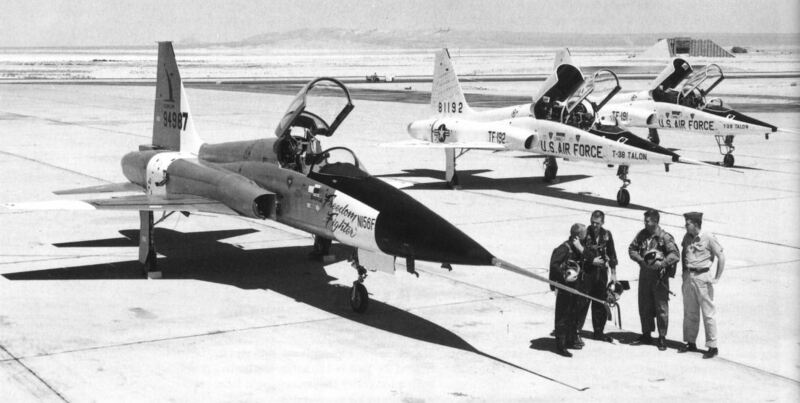 The first YF-5A at Edwards AFB ready for flight test. 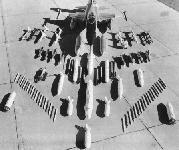 Behind are YT-38s 59-1191 and '92. 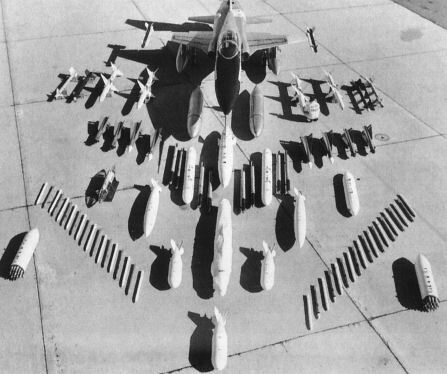 YF-5A 59-4987 with an impressive display of the armament options available. Third YF-5A 59-4989 (foreground) in formation with the first production examples, F-5A-15-NOs 63-8367 and -8368. 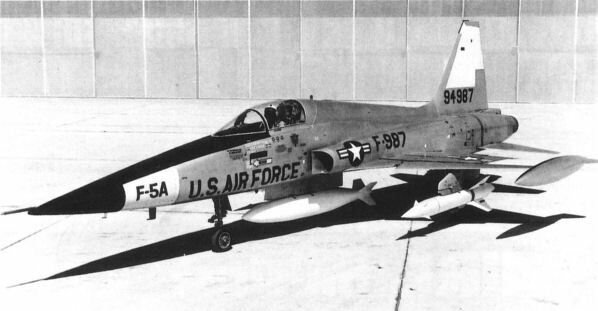 Third YF-5A 59-4989 during flight test and trials by USAF. 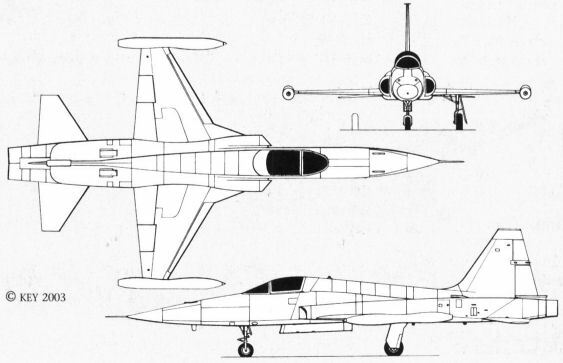 The first YF-5A went on to be reworked as the first F-5A. Note the 'buzz number' with only a single letter prefix. One of the last F-5As from the first batch of 'Dash-15s', 63-8421 on take-off at Edwards. 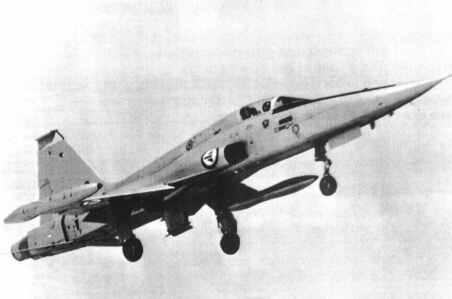 The first F-5A for the Royal Norwegian Air Force, 64-13368, during its first flight at Edwards AFB on June 17, 1965. In October 1958 Northrop showed off the N-156F mock-up, with a bogus serial number on the fin. 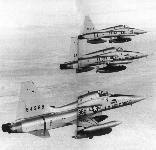 It is evident there were few changes between it and the YF-5As. The first N-156B F-5B, 63-8438, about to leave the spray bay at Hawthorne prior to first flight, March 1964. Note that the rear segment of the canopy appears to have been blanked off.